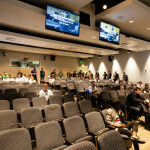 Amphitheater seating, hundreds of investors. Stage lights above four months of hustling behind you. X marks the spot. You have three minutes. 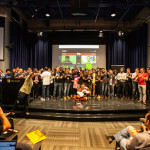 As our first time covering a 500 Startups demo day, we could only imagine the stratospheric levels of stress our Batch 8 founders must have gone through to get on stage and present their progress from their last four months of startup bootcamp. 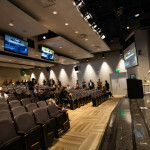 This was a chance to blow open the story on their companies, to address a room full of potential investors, mentors, partners, customers, and press. One would imagine with so much influence and potential capital flying in the packed room, the atmosphere must have felt thicker than a frenzied shark tank. Honestly though, it was anything but. 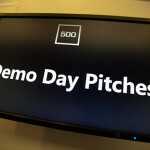 In true 500 Startups fashion, Demo Day had an almost cathartic feel. 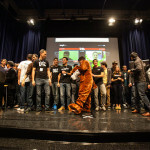 The crowd of investors were very supportive, with lots of laughs and cheers. Overall, the batch showed some great progress on the work they’d been doing. 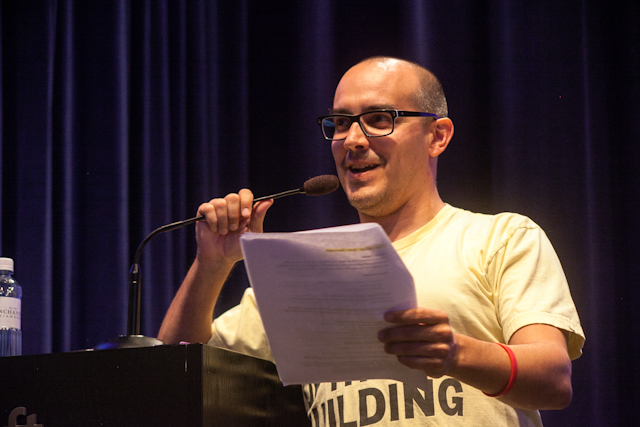 Weekly roundup meetings with all hands to report wins and losses. Updates could be as exciting as closing investment deals, or harrowing as the news of losing a co-founder. 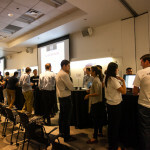 Direct points of contact with appointed 500 Startups partners or EIRs and Pager-carrying-surgeon levels of attention for advice and mentorship. 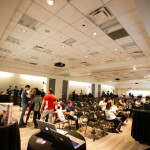 Weekly fireside breakouts, collaborative lunches, and brainstorming sessions. Weekly inspiration talks with founders and CEO’s of successful tech companies (Box and Mailchimp to name a few). 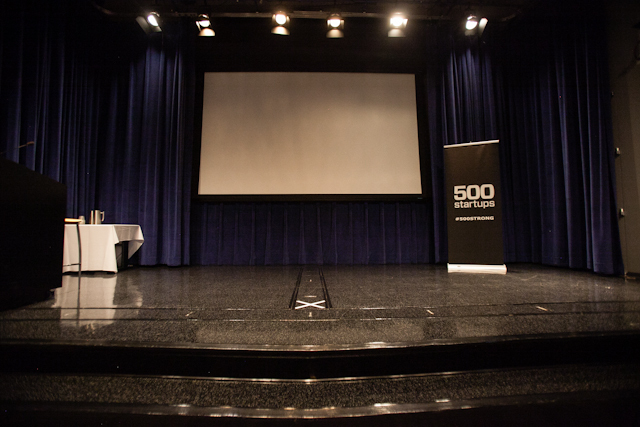 To learn more about all the companies, be sure to visit 500 Startups’ official demo day page. 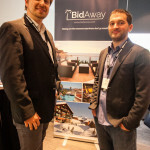 Bidaway provide Ebay style auctions for luxury travel accommodations and tour packages. Based out of Spain, the young company has seen extremely promising growth in their home country. They’ve captured their market quickly by being the first providers of affordable luxury bookings with a business model to fill in a large amount of unused travel inventory. How large? About $37B worth of lost sales a year, worldwide. They showed very impressive average customer repurchases. Culture Alley turns your time sinking Facebook browsing into a language learning experience. They do this by strategically inserting words into your newsfeed with a cheeky gamifying component. We know language education is a huge market, with 1/7 of people around the world learning a new language. Something we didn’t know, mainstay education programs have < 1% course completion. With Culture Alley, they’ve shown promising growth and completion rates in the double digits, and they’ve only touched on Spanish. Mandarin Chinese will be launching soon. Doorman solves the ultimate online consumer pain. According to their presentation, up to 50% of package deliveries fail on the first attempt. Last year, there were 100M failed package deliveries in the US alone. It’s a pain that we’ve all experienced with “4-6 hour” delivery windows and prehistoric online, tracking, and customer service experiences. Doorman is the mobile friendly middleman to accept, then redeliver your packages in 1-2 hour windows up to midnight. 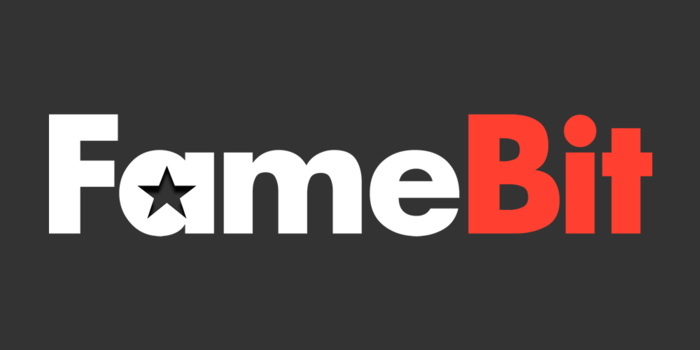 Famebit is the world’s first full service platform to connect brands and marketers to Youtube content creators. With Disney’s $950M acquisition of LA-based Maker Studios and the prevalent rise of a new generation of video celebrities (if you’ve sat in a Yellow taxi in NYC in the last year, you’ll know what I mean), it goes without saying that we’ve barely scratched the surface of Youtube’s potential as a content x advertising platform. Ohmconnect – “AirBNB for energy” solves the ever-growing energy crisis by recruiting the help of everyday utility users. Their solution is ingenius in its design. Ohmconnect sends push notifications and reminders to their mobile app users with suggestions to turn off lights and electrical appliances at times when the power grid needs it most. In turn, Ohmconnect incentivizes its users with direct payments. Harnessing more energy from our grid by emphasizing efficiency, not increased factory and power production. 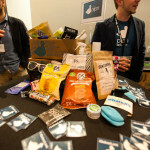 Pijon – think Birchbox for care packages. With their team’s extensive experience in their campus housing ecospheres, the founding team team at Pijon has created a fast growing company of subscription based curated care packages for parents and their undergraduate offspring. Specifics aside, their growth, revenue, and potential campus directory partnerships look promising for rocket ship growth. 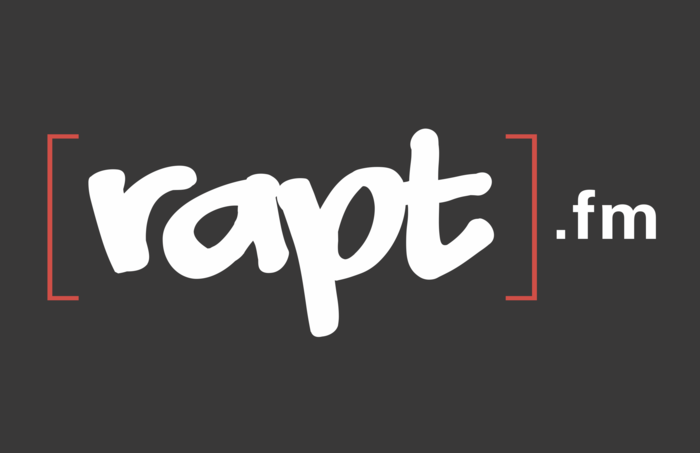 Rapt.FM – Rap battles over live chat. In seed stage funding, we’re often told that the investments are ultimately about the people/teams, and not necessarily the metrics. Lucky for Rapt FM, they appear to have both with a fast growing community of passionate content creators and viewers. 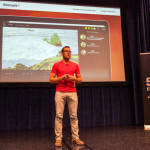 What started off as a creative project for charismatic founder Erik Torenberg has turned into a promising social site with fast monthly growth and a natural expansion into new verticals (news, debate, DJ battles, karaoke, etc.) 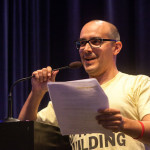 through organic interactions from the community. 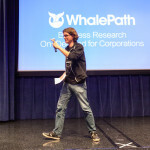 Roam & Wander won me over as soon in the same way that the packed room of investors uttered a unanimous ‘aww’ during their slide deck presentation. Their app enabled plushy toys are bringing a new level of engagement to kids worldwide with a highly successful Kickstarter campaign for “Didi”, the bear with an iPad for a face. According to founder Jason Warren, they can’t fill orders fast enough in a mainstay Asia market, with their two characters Tutu and Didi flying off the shelves of major toy retailers. Shippo is changing the game for e-commerce shipping. The young company has seen intense growth in their short time since launch, to the tune of 1M+ shipping fulfillments in a few months time. Though they wouldn’t directly disclose their secret sauce, we’d like to think the impressive price savings have to do with it – almost 75% cheaper to ship through Shippo’s automated system than traditional means. Look out for this company. They’re going to be huge for private e-commerce retailers. 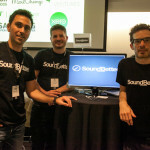 SoundBetter serves as the world’s leading marketplace for sound and music engineers. 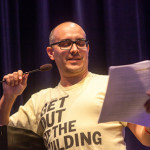 Prior to SoundBetter, the only way music and recording artists could recruit the services of professional mixers and mastering engineers was through Google, Craigslist, and referrals. SoundBetter’s daunting task is to herd together an ultra fragmented freelancer industry into a cohesive marketplace. In that process, they’ve also found natural vertical crossover with singers and songwriters posting that they’ve solved splendidly in their short time since launch. 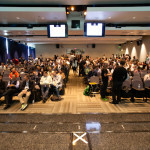 To 500 Startups for being great hosts and putting a promising batch of entrepreneurs through their program. 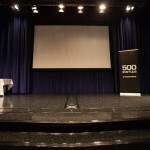 For more information on 500 Startups, be sure to visit their website.